Patients can experience chronic pain for a variety of reasons. Pain Management Doctors in Seattle may prescribe narcotics to treat either acute pain or pain that is chronic and responding well. There is a danger for some in taking more than prescribed or developing an addiction to Opioids such as OxyContin. What Are the Major Indications for Having Pain Medication Management? Candidates for pain medication management are patients who experience acute, severe pain or chronic pain that lasts for six months or more and is caused by continuing health conditions. Causes of chronic pain include arthritis, headaches, back and neck pain, injuries that cause permanent damage, tendinitis, peripheral neuropathy, and failed surgery pain. Chronic pain can interfere with daily activities and lead to conditions such as insomnia, anxiety, depression, fatigue, and irritability. Over time the pain can become worse, with patients being unable to work and affecting relationships. What Does Pain Medication Management Entail? Usually the first line of treatment for pain involves the use of over-the-counter and prescription medications. 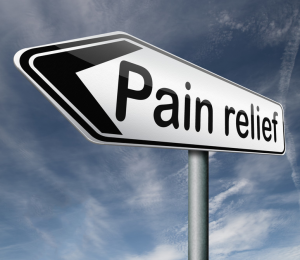 Seattle pain doctors can prescribe a variety of medications for the relief and management of pain. Non-aspirin pain relievers and acetaminophen can relieve pain but may not be so great long-term. Doctors may also prescribe Opioids, antidepressants, muscle relaxants, and corticosteroids when the pain is accompanied by inflammation. In some cases, to avoid complications, pain doctors in Seattle will prescribe pain patches that give a constant low dose of medication to manage pain, or injections such as corticosteroids or nerve blocking agents. For those with nerve pain (e.g. sciatica or spinal stenosis), neurogenic modifying agents can help. This may include neurontin or Lyrica. 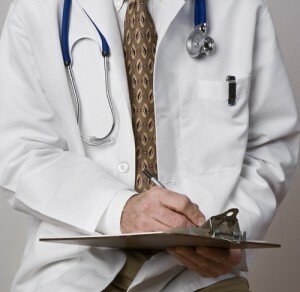 How Does Pain Medication Management Help the Doctor Provide Treatment? Seattle pain physicians have many medications at their disposal to help patients manage their chronic pain. The goal is to relieve or alleviate pain, if not completely, enough that the patient can participate in daily activities and improve quality of life. The goal is not to provide a “high”, but to control the pain. Once the pain is treated, the doctor can then focus on treating the cause of the pain. While on pain management medications, you will be meeting with your doctor regularly so you can discuss your progress and your treatment can be monitored. It may take some time to see an improvement in your level of pain, depending on the types of medications used. Your Seattle pain management doctor will work with you to tailor a treatment specific to your condition and can recommend additional treatments such as chiropractic care, physical therapy, or interventional procedures such as trigger point injections, facet or medial branch blocks, radiofrequency ablation and more. Most Seattle pain doctors will randomly test their patients with urine drug testing. This will ensure patient compliance with the treatment program. In addition, Seattle pain specialists will typically have patients sign an agreement to comply with the therapeutic program. What Are the Risks of Having Pain Medication Management? 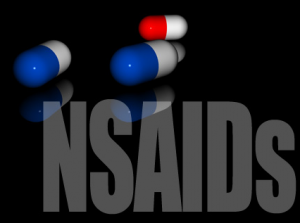 There are always risks involved with taking medications for pain management. Over a long period of time, drugs like acetaminophen can affect your liver. Opioids for pain can lead to hormone level abnormalities, constipation, addiction and even death, so care must be taken while on these medications and communication with your doctor is very important. What Are the Benefits of Having Pain Medication Management? Once you have worked out a proper treatment plan with your doctor, your pain will often be alleviated and you can return to your daily activities. It can also improve your sleeping and mood. When the pain is alleviated, your doctor can then treat the cause of your pain, improving your quality of life even further. 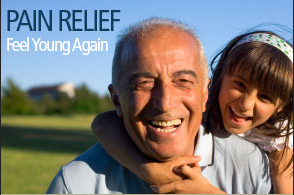 Seattle Pain Relief offers the top pain management doctors in the Northwest. Most insurance is accepted at the practice. Call (206) 536-3007 for more information and scheduling with pain management Seattle trusts!